While it may be tempting to do a remodeling or installation job on your own, it is imperative that you talk to a professional. Electrical work requires education, experience, and skill. Therefore, you want an electrical contractor East Peoria residents rave about. Trapp Electric has been serving East Peoria with superior contracting services for more than 14 years. 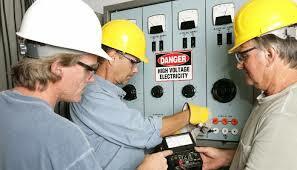 We only hire electrical contractors in East Peoria, IL that have been properly licensed. In fact, all our employees are insured and bonded for your peace of mind. For exceptional service and workmanship, contact Trapp Electric at (309) 444-8188 today. The electrical contractors in East Peoria, IL at Trapp Electric have all these traits and more. You know when you call our office that you are getting more than 100 years of combined experience and friendly, courteous, and professional service. East Peoria is across the Illinois River, close in proximity to downtown Peoria. East Peoria is home to many Caterpillar, Inc. buildings, one of the main employers of the area. It is also the location of Illinois Central College, and Par-A-Dice Hotel and Casino. With a great mix of fun, business, and family activities, it makes East Peoria a fantastic place to live. Trapp Electric is proud to offer East Peoria residents quality electrical and remodeling services. Trapp Electric is the #1 electric contractors East Peoria residents trust for quality service. Call us at (309) 444-8188 today for more information.